Visiting west Sulawesi is not complete without visiting Palippis beach. 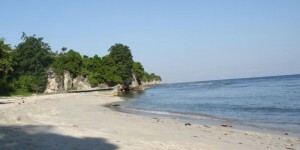 The beach is located next to the public road which is a connecting road to some cities in west Sulawesi. Palippis beach is less than 20 km from Polewali. This beach has natural beauty which is a must to see. Palippis beach offers beach panorama with the off shore as the view. This west Sulawesi beach is laid in the west side of Sulawesi Island. It straightly faced to the sea as the separator between Kalimantan, Java Island, and Sulawesi Island. Another attractive side of it beside the beach beauty and the off shore view are the bat cave and rug of coral cliff. The bat cave situated on a hill nears the shoreline, while the coral cliff is nearby the bat cave. This west Sulawesi beach is spread out for about 3 km in the west side of Sulawesi Island, Indonesia. Tourist who visit this beach can do water and sand playing, foot ball, beach volley, or just merely sit and joking with your friends while waiting for the sun set. Besides enjoying the beach beauty, tourist can also see coral that shaped like steep cliff. 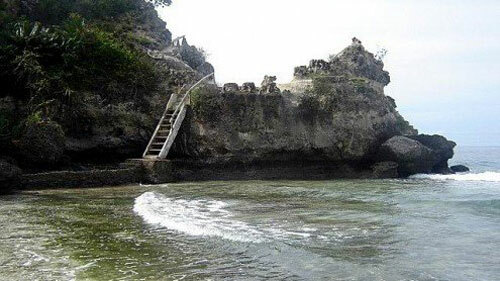 There’s a long coral cliff in the beach, called Lawuang. This coral has exotic attraction because it faces the sea, like a canyon. As in Siung beach Yogyakarta, those coral cliffs can be used for climbing sport. The height of the cliff is reach to 30 -80m. There’s also Gua Kelelawar near the beach and the coral cliff. The cave is called Gua Kelelawar / bat cave, because it’s dwelled by thousands of bats. In the beach, tourist can also see Mandar people in making sandeq boat in centres. Sandeq boat is traditional boat of Mandar tribe. Palippis beach is located in Bala village, Balanipa sub district, Polewali Mandar district, west Sulawesi. To reach Palippis beach, you can start the trip from Tampa Padang airport, Mamuju city. From the airport, you have to go to Polewali which will take 2 hours by public transportation like bus or personal car. After you got in Polewali, you can continue the trip by public transportation in 30 minutes. There’s small cabin not far from the beach that can be used for resting. There’s also bathroom and toilet, wide parking lot, and food stalls which provide local food.